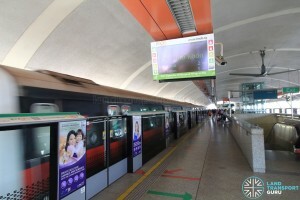 Bedok MRT Station (EW5) is an above-ground station along the East West Line (EWL). It sits along the boundaries of the Bedok North and Frankel planning subzones, and is physically located along New Upper Changi Road, just next to the Bedok Town Centre. 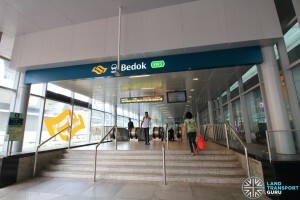 The station is named after the Bedok estate, likely named after the Malay word bedoh referring to a large drum used at mosques to call worshippers to prayer. 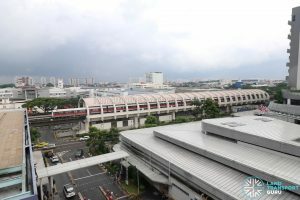 Bedok station is a transport node for residents of Bedok New Town, serving adjacent shopping malls (Bedok Mall), community amenities (Bedok Hawker Centre, Bedok Polyclinic, etc. ), schools and housing developments in the Town Centre area, as well as light industries at Bedok South. 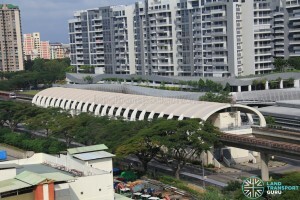 Bus services are offered from Bedok Bus Interchange, which connect to other parts of the estate. 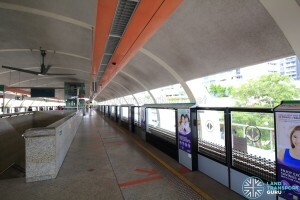 Bedok station has two elevated East-West Line platforms in an island platform arrangement. Half-height Platform screen doors are installed at the platform edge for the safety of commuters, and retrofitted High volume, low speed (HVLS) fans keep passengers cool. 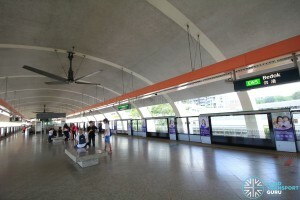 Similar to most platforms along the Eastern side of the East West Line, a barrel vault roof design allows for a spacious interior that is easily navigated. General Ticketing Machines allow commuters to purchase tickets for single or multiple journeys, and along with TransitLink Add Value Machines, offer contactless card transactions. The station office functions as a Passenger Service Centre, and is staffed during operating hours, where commuters may make travel inquiries or perform card transactions using cash payment. 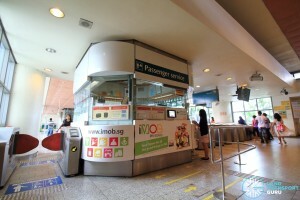 A TransitLink Ticket Office is also located at this station, operating from 12:00pm to 8:00pm daily. 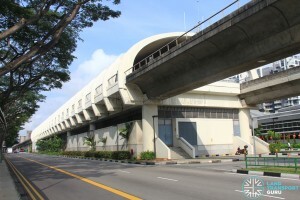 Built in-between two carriageways of New Upper Changi Road, Bedok MRT station has two exits on either side of the road, and a third exit within the station underpass, leading to Basement 2 of Bedok Mall. All exits offer barrier-free accessibility for the disabled. Passengers for Bedok Bus Interchange should use Exit B. Operating Hours: 12:00pm to 8:00pm daily. 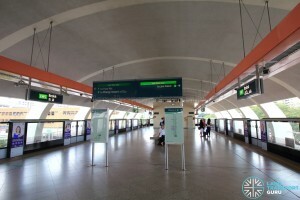 Bedok station connects to a bus interchange, several bus stops in the vicinity, as well as taxi stands and passenger pick-up points. 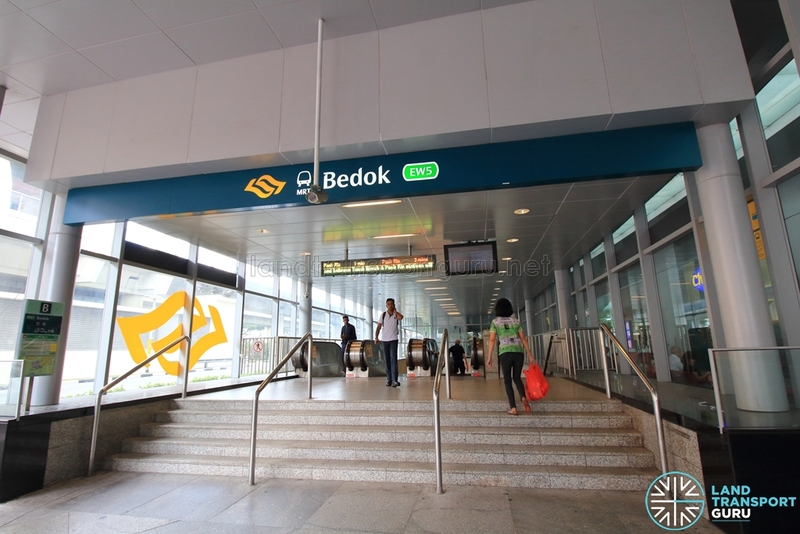 There is a bus interchange and two official bus stops linked to Bedok station. 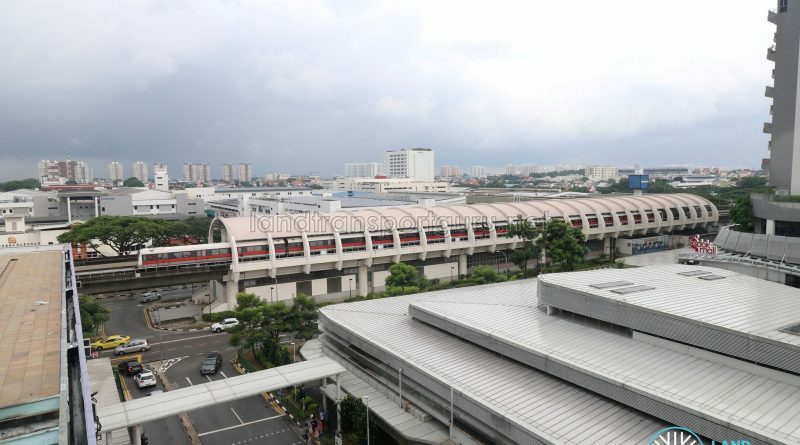 In addition, passengers can board free regular bus services at Bedok Bus Interchange and bus stops officially linked to Bedok station depending on the situation on the ground. 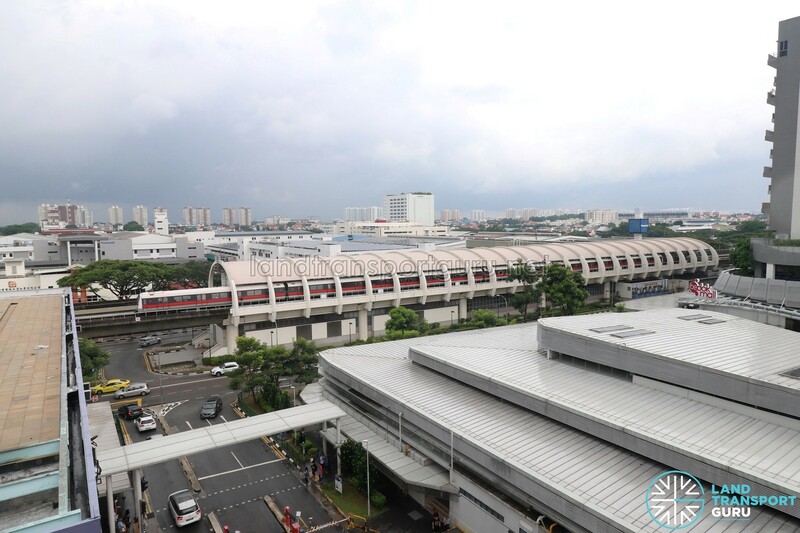 Serving Bedok Town Centre, Bedok station encounters high demand throughout the day as a transport node for Bedok Town residents. 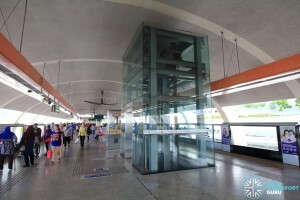 Bedok station opened on 4 November 1989 along with all other EWL stations from Bugis to Tanah Merah.